I always find inspiration in books and I think kids do too. Especially young children who are not reading yet, get all their information visually from the illustrations. So to go along with my earlier collage post I thought I would add a few of our favorite collage books and illustrators. 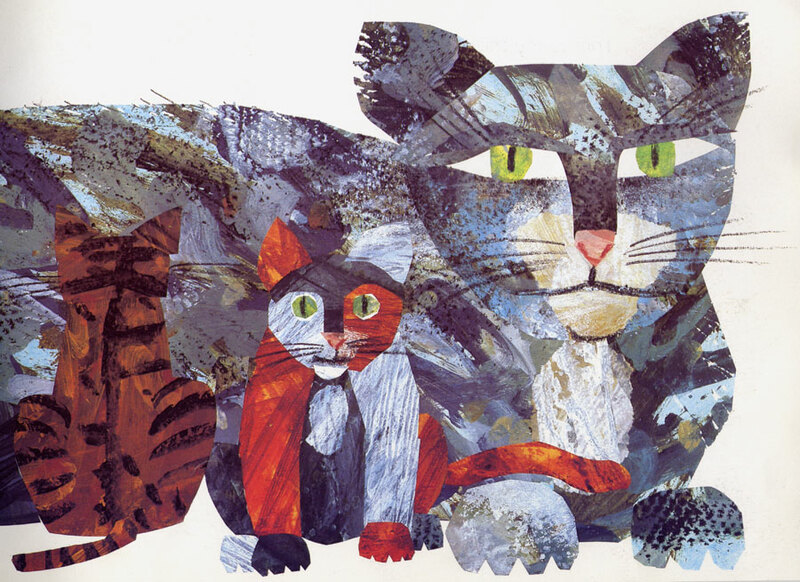 1) Eric Carle: I love that Eric Carle used hand painted papers in his illustrations. He has a great video on his website showing how he paints his papers and how he makes them into illustrations. His illustrations are a great reference for kids because they can easily paint or monoprint their own papers to use in collage. At our house we frequently use old paintings and artworks to cut up for collages. 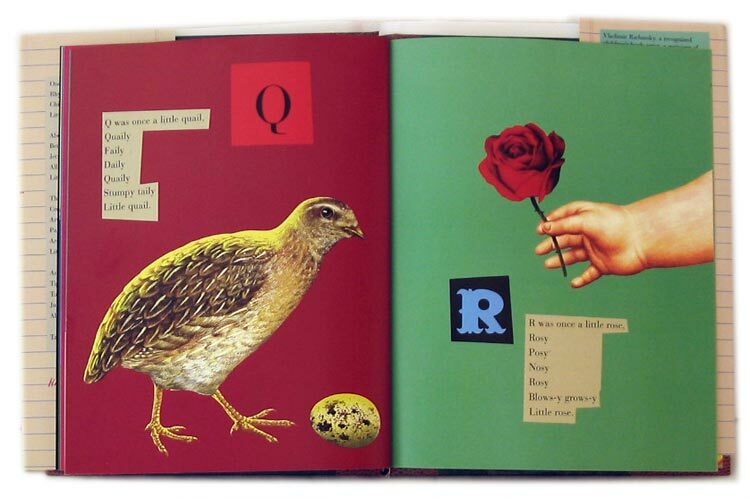 2) Lois Ehlert: Has many, many great books and many th at use collage illustration. She often uses found objects in her illustrations which is fun for a game of I Spy. Her illustrations are fun and on the last page of the book she often shows the objects she used to create the picture. 3) Faith Ringgold: An artist, writer and illustrator is most famous for her story quilts. 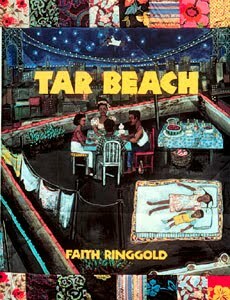 Her book Tar Beach is one of our favorites. She uses fabric in her collages another great idea for kids to try. 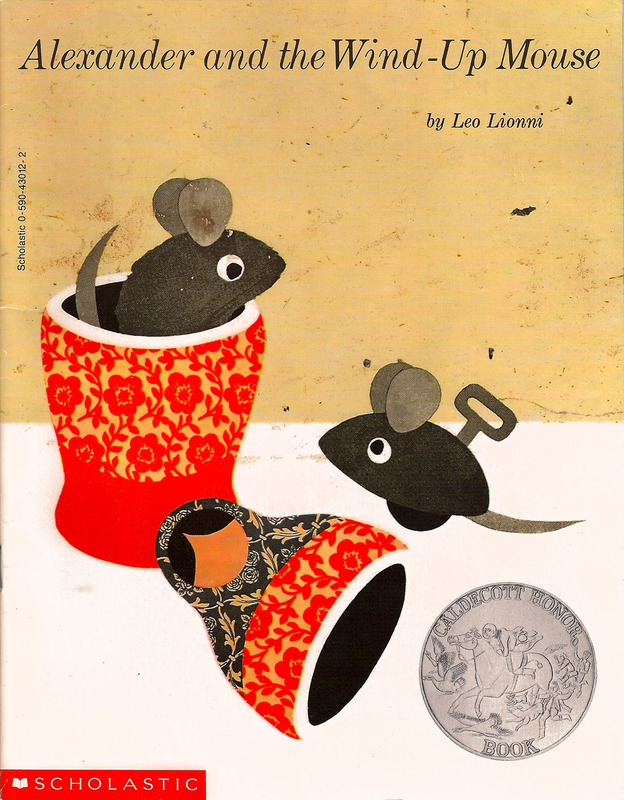 4) Leo Lionni: Author/illustrator of many great children books often uses beautiful paper collages illustrations. In addition to his great stories I love that he uses a torn paper technique in many of his books. Kids are naturally great at tearing and a torn paper collage is a great alternative for kids who get frustrated with scissors. 5) Vladmir Radunsky: I personally love Vladmir Radunsky's illustrations. He uses a lot of different kinds of papers, magazines and other found images. His work is always different but very childlike. Do you have a favorite book? We are always looking for something new to read so share your favorites in a comment below or email me childhoodlist@gmail.com.